What Is the Estimated Tax Penalty? The United States tax system functions on a pay-as-you-go structure. This means you’re expected to pay your taxes as you earn money throughout the year, rather than just making a lump sum payment at the end of the year. This is why you have taxes deducted from your paycheck before you even receive the money. For business owners, you’re expected to make quarterly estimated payments throughout the year. The tax return you file each year is essentially a “balancing of the books” for the taxes you pay to the government. You (or your accountant) go through your earnings, apply deductions, and calculate the tax you’ve already paid. If you overpaid, you get a tax refund from the government. If you underpaid, you send in a payment for what you owe. But, if you significantly underpaid, you could be subject to the estimated tax penalty. As mentioned above, this is normally applied to anyone paying less than 90% of their tax liability throughout the tax year. The purpose of this waiver is to discourage people from hanging onto the funds owed to the government throughout the year. Why Are They Waiving Some Penalties? The 2018 tax year is the first time that the majority of the Tax Cuts and Jobs Act will be applied to your tax return. For many taxpayers, this meant a reduction in their withholdings from each paycheck. So, while you might have noticed a slightly larger paycheck throughout 2018, it also means that you’ve been sending less money to the federal government, which could lead to you underpaying on your taxes throughout the year. The IRS is aware that the new tax laws and the changes to withholdings may be confusing to many people filing their taxes, and a significant portion of the population may have significantly underpaid on their taxes throughout the year. In an effort to accommodate these innocent mistakes, the IRS is only applying the estimated tax penalty to those who paid less than 85% of their 2018 taxes during the tax year. While this may seem like a small percentage change, it should be enough to accommodate most individuals who simply made this innocent mistake. There is nothing that you need to do to receive this waiver. The computation required to determine if your estimated tax penalty will be waived (and if it’s even relevant to your return) will be automatically integrated into our commercial tax software. It will also be reflected in a revised Form 2210, along with updated instructions for filing. If you still paid less than 85% of your tax liability during the year, then your accountant will inform you, and you will be expected to pay the estimated tax penalty. 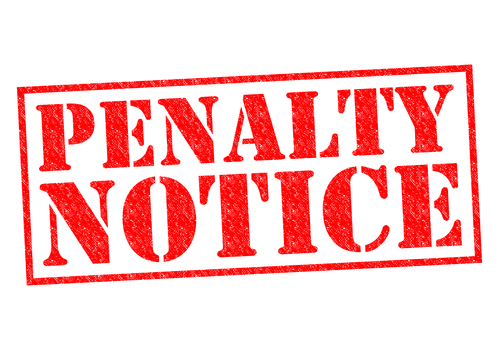 This penalty waiver is only being applied for the 2018 tax year, so you will be expected to pay at least 90% of your tax liability throughout the 2019 tax year if you wish to avoid an estimated tax penalty when you file in 2020. This is why the IRS is urging every taxpayer to look at their withholdings, as well as their tax returns, to determine if they are having the proper amount withheld from their paychecks. If you’re uncertain how much you should be withholding, the IRS offers a Withholding Calculator to determine the proper amount to have removed from your paycheck. All you need is your most recent paystub and a copy of last year’s tax return. Enter the required information, and the calculator will provide you with the amount to withhold from your paychecks, so you don’t have to worry about any penalties next year. Please note that the numbers given by the calculator are only as accurate as the information you enter, so it’s best not to guess if you want to ensure you’re withholding the proper amount. If you’re worried about your tax return, and are uncertain if you will be subject to the estimated tax penalty this year, please contact one of our qualified CPAs today.